As Nintendo’s right-hand developer throughout the SNES and N64 eras, Rare is responsible for many of my favorite video games. Although the various teams within Rare’s studio reportedly shared a friendly rivalry — always trying to one-up each other with each new release — the UK-based developer seemed particularly competitive with the big N itself. Considering Nintendo published most of Rare’s games at that time, the two companies were on the same team at the end of the day. However, on the surface at least, many of Rare’s games from these two console generations felt like direct responses to Nintendo’s landmark titles. Donkey Kong Country followed Super Mario World, Banjo-Kazooie followed Super Mario 64, Diddy Kong Racing followed Mario Kart 64, and so on. These weren’t just desperate attempts to mimic their contemporaries, either, but rather classic games in their own right. In each of the examples I just mentioned, I prefer Rare’s game. It was inevitable that the studio would tackle the granddaddy of them all, with its own spin on the Legend of Zelda formula, specifically the template set by Ocarina of Time. 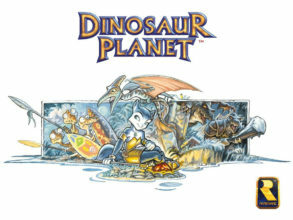 Initially designed as Dinosaur Planet for the N64, the game would’ve put you in the shoes of two playable characters: Sabre and Krystal. 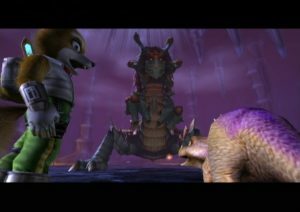 The story goes that Shigeru Miyamoto looked at the game and noticed the striking similarities between that game’s characters and those of Star Fox. 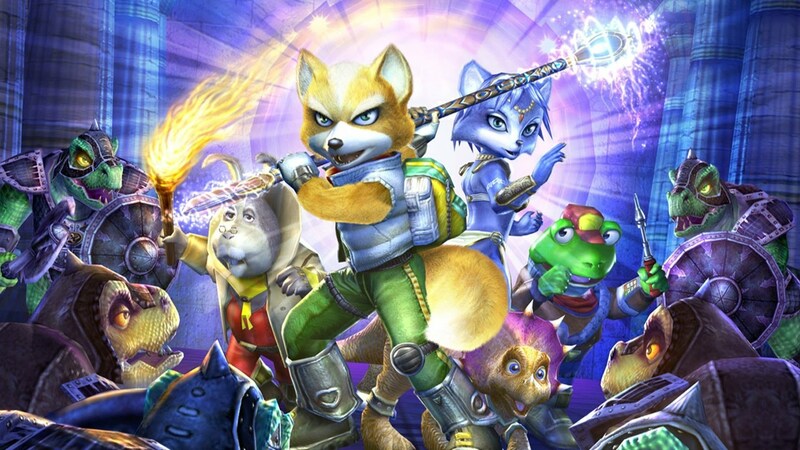 From there, the game was repurposed to star Fox McCloud and his crew. Despite Rare’s best efforts to throw fans of the on-rail shooter a bone with a handful of brief Arwing sequences, the game’s original identity was too embedded in its final design to cover up. That said, even as someone who adores the traditional Star Fox entries — even Assault and Zero! — I love this 2002 title for what it is. In fact, as I’m thinking about it now, Star Fox Adventures was kind of my introduction to the Ocarina of Time template. At the time of its release, my exposure to Zelda had been limited to Super Smash Bros. and one night in which I watched my brother’s friend play Ocarina and walk around Lon Lon Ranch for five minutes. While playing Adventures, little did I know that I was experiencing a taste of what would become my all-time favorite video game series just a couple of years later. The game has just about everything a Zelda fan could have asked for at the time, including distinct, elemental-themed locales that come complete with their own dungeons and bosses. The game even boasts its own companion in the form of a young triceratops — or earthwalker — named Tricky. Admittedly, the little guy wasn’t always as responsive to commands as I would’ve liked, and feeding him occasionally came across as a chore. Overall, though, I appreciated Rare’s desire to create a more active and involved companion — something I would later appreciate from Zelda itself with Midna. This has already been discussed throughout this “Inspired By Zelda” series, but it holds true for this game, too. One of my favorite aspects of Link’s adventures is that unbridled sense of adventure — that childlike sense of awe I get from embarking on a new quest in Hyrule. Star Fox Adventures captures that intangible feeling better than just about any other non-Zelda title. Thorntail Hollow, the game’a closest thing to a hub world, encapsulates the otherworldly appeal of Dinosaur Planet perfectly. Speaking of Thorntail Hollow, I have not been able to get that area’s theme music out of my head since I started writing this. Composer David Wise — known for his infectious tunes in Diddy Kong Racing and Donkey Kong Country: Tropical Freeze — has always been among my favorite video game maestros, due in large part to his work on this game. Like the various locales you’ll visit across this lengthy quest, the musical score is so varied. I can’t say Star Fox Adventures stands toe-to-toe with my top five favorite Zelda entries, but it’s easily my favorite of the many “clones” that have come along. Compared to the rest of Link’s quests I’d say it’s upper-mid-tier status. If you haven’t yet experienced this game, go out and treat yourself to it. I mean, an unused copy is only $96 on Amazon! Brandon Schmitz is an Original Content Editor for Zelda Dungeon. He likes playing video games, writing, and telling himself he’ll go to the gym tomorrow. Follow him on Twitter!